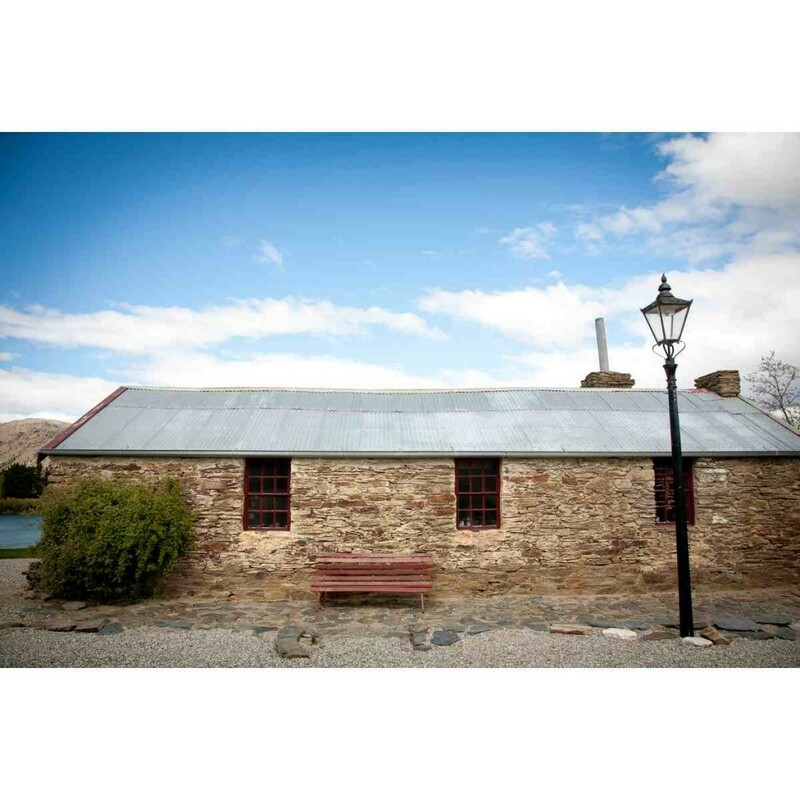 Murrell’s Cottage is one of two buildings on its original site in the historic precinct. 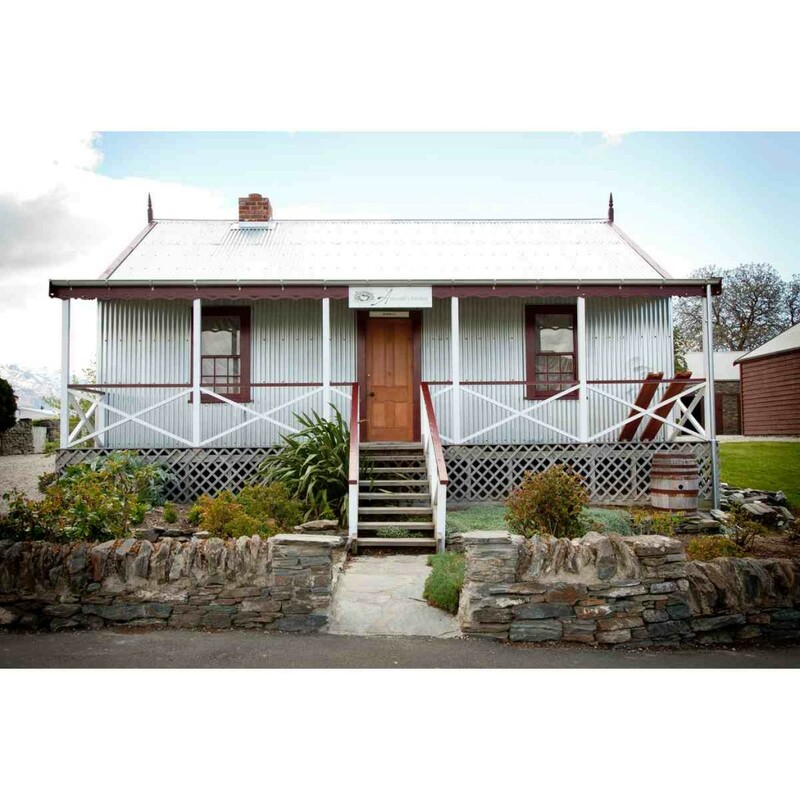 Built of local “schist” rock it was an addition to a corrugated iron house, which stands at the front of this building. The stone cottage was the laundry and storage area for the main house. Edward K Murrell was born in Aberdeen in 1837 and educated at Kirkwall in the Orkney Islands. He served an apprenticeship in watch making and jewellery trades in Kirkwall, worked as a journeyman in Edinburgh and later became foreman in a large business in Clerkenwall, London. He emigrated to Nelson in 1861 on board the ship the “Wild Duck” and went into business there for a short time before trying his hand at gold mining on the West Coast. In 1869 he moved to Dunedin, going into business with J Hislop. He moved to Cromwell in 1872 with his family and started the first watchmaker’s and jeweller’s business in the town. His first shop was in a front room of Marsh’s Hotel where he advertised cleaning a pocket watch: “Reduced from 10 shillings to seven and sixpence”. He later moved to new premises adjacent to the Athenaeum Hall. Edward became prominent in local body politics serving as a borough councillor from 1879 to 1894. After a spell of five years he returned to local affairs and became Mayor of Cromwell in 1899 continuing until 1905 when he retired. He was later prevailed upon to serve another term as Mayor and did so from 1909 to 1913. Altogether he gave twenty-five years’ service to the Council, nine of them as Mayor. He was also one of the first people to serve on the Hospital Committee and did so for twenty years. During his stay in Nelson, Edward married Mary Ann Kidson who had been born there in 1842 shortly after her parents emigrated from England on the ship “Bolton.” Her mother had been lace maker to the young Queen Victoria and her father a horticulturist and skilled boatman at the Royal Gardens. Mary Ann and Edward had thirteen children, seven of whom were born in Cromwell. Edward Murrell retired in 1921 to Christchurch after spending forty-eight years in Cromwell. He died in 1925 at the age of eighty nine. Mary Ann died in 1912 at the age of seventy.